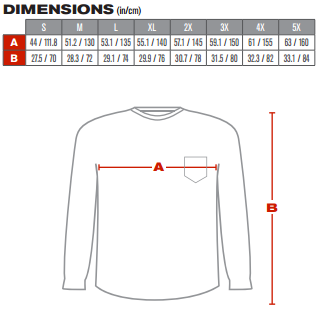 The 310-1100 is a NON ANSI long sleeve safety t-shirt by PIP and is made with 100% polyester birdseye mesh which is a durable, lightweight performance moisture wicking material. 1 Chest pocket is featured on the front. A reliable garment that can be applied in a variety of work places.